This is unbelievable. You have hit the nail on the head...so to speak. As the housing market is cooling, the costs to build are falling. Lumber mills are closing, lumber packs are declining, sheetrock is dropping, subs are re-bidding for less to keep working, landscapers are cutting prices in half.... the Flippers are doomed. 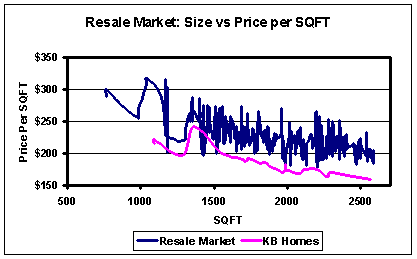 The builders will continue building for less, cutting prices as the market cools, long into the foreseeable future. Unless the Flippers cut their prices to $150/sf now, they will be stuck for 5 years, eating negative cash flow the whole time. UNBELIEVABLE. Your stats prove it. The question is...will the Flippers comprehend it? I've been out of town for the last week and not able to keep up, but these stories are amazing. Seems like the massacre in Sac is gaining momentum. And property taxes are due in a few weeks . 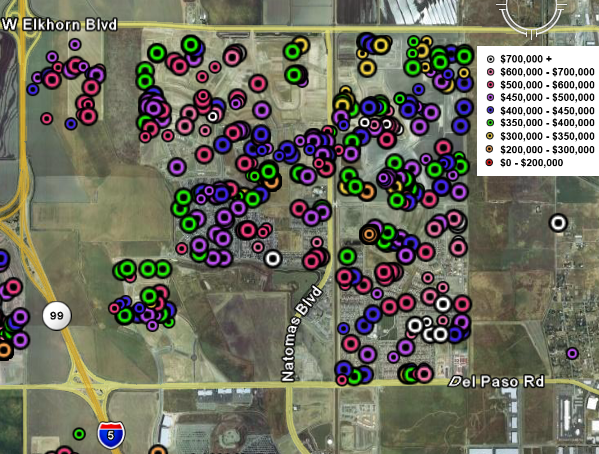 . . . .
What will happen when all of the KB Homes will be Bank Owned REO's competing with homeonwers. 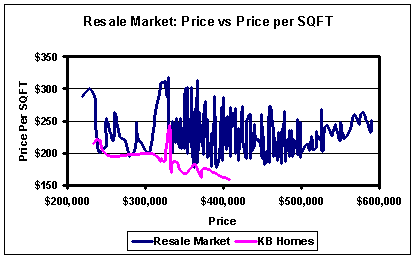 Meaning what happens when KB Homes files for bankruptcy. You have each house in the entire community owned by a bank at one point or another. Ok, yes this will be an interesting little piece of land to keep an eye on. How wide-spread is this through SAC? What about Merced, CA? Any comments on this "gateway to Yosemite?" How wide-spread is this through SAC? Anecdotally, I would say it's fairly common around here. Other than the obvious massacres, I haven't looked that closely at the market undercurrents until now. You better believe I'll be doing more of these analyses in the future. I think it's entirely possible that the resellers in that area have no idea why their house isn't selling. As for Merced, I have no evidence, but I can't see why it wouldn't be similar.